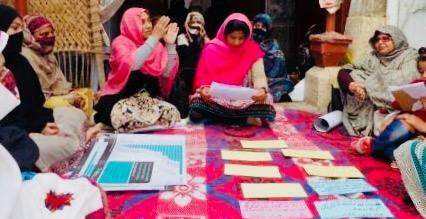 Citizen Engagement in Governance Using participatory methodologies in a series of 17 field-based meetings, the Foundation assists 133 women & 175 men from 78 CSOs of Mansehra, Abbottabad, Haripur, Battagram, D.I. Khan, Karak and Kohat to assess government services and identify ways to improve them. Building Capacities in Social Accountability.